Lindsay Cameron Wilson | Episode 21 Seaweed For The People! 01 Nov Episode 21 Seaweed For The People! That’s what John and Kerryann Fitzgerald’s little girls cheered as they licked their carrageenan ice pops. John And Kerryann operate walk, talk and taste workshops on the Ring of Kerry – John guides the students along the shoreline; Kerryann serves up sea vegetable feasts at the end of the walk. They want us to get to know seaweed. To harvest it sustainably. To cook with it. And perhaps even make ice pops made with seaweed. These are the stories we explore in this episode of The Food Podcast. Our guides are John Fitzgerald and Taylor Widrig of Mermaid Fare, a Nova Scotian company that distributes wild and cultivated seaweeds. It’s a salty, briny, wild episode full of vitamins, minerals and trace elements, today on The Food Podcast. Listen to Episode 21 of The Food Podcast HERE. 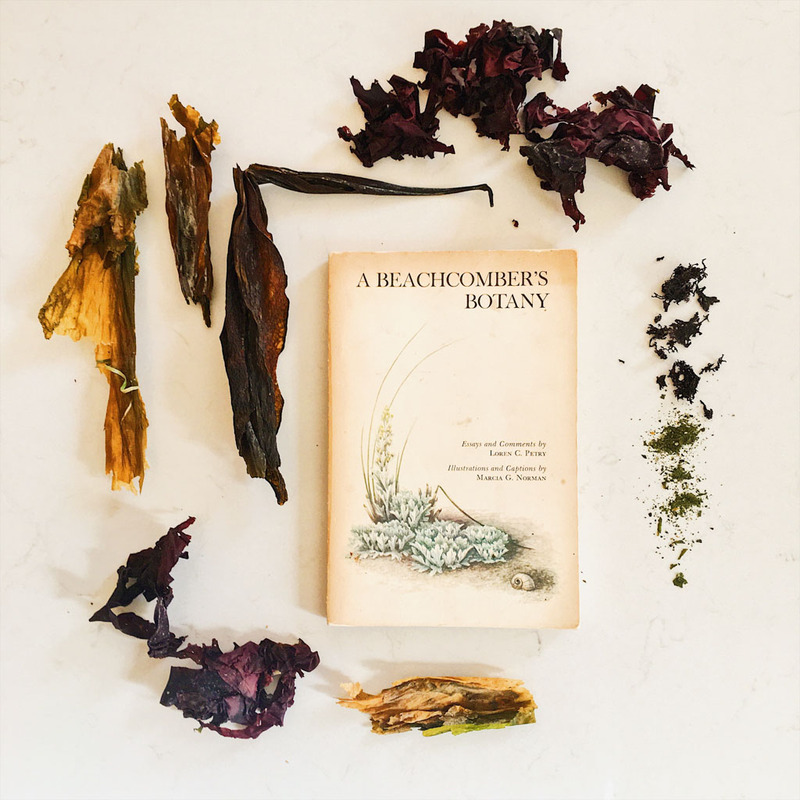 *Above photo – from top moving clockwise: Nova Scotian dulse, Irish pepper dulse, sugar kelp flakes, sugar kelp, dulse, more sugar kelp and A Beachcomber’s Botany, a lovely little handbook I found on a dusty shelf in my parent’s cottage on the Northumberland Straight.